Standard Sale!!! 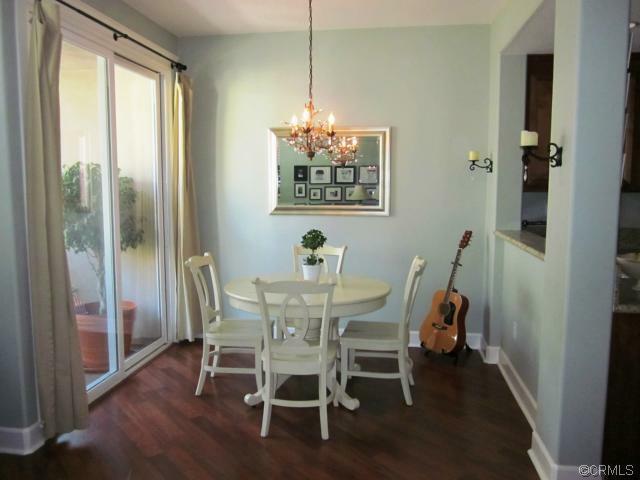 Beautiful Ladera Ranch Condo in the Valmont Neighborhood! Posted by Teresa Mihelic HelpDesk on Monday, March 18th, 2013 at 11:08am. This might be the opportunity you are waiting for: a standard sale condominium ( don't need to wait months and months for a bank to respond to your offer) in the beautiful Ladera Ranch community of Valmont ,was just listed today for $350,000. You don't want to miss this gorgeous condo! ( Contact us immediately for a showing!). Located at 32 Valmont Way in Ladera Ranch (92694), the property has wood laminate floors, granite kitchen counters, 5 inch custom baseboards, custom window casings, Restoration Hardware custom paint, stack washer/dryer on the bedroom level, and tons of natural light all in a completely functional dual master floor plan. The property also includes an over sized two car garage! With this location, you'll be very close to one of Ladera Ranch's sought after amenities: its water park. Not to mention, you'll get to enjoy all of the other Ladera Ranch amenities including parks, walking trails, sports/skateboard park, pools, tennis courts, and award winning schools within the Capistrano Unified School District! Here's a link for the official listing: http://www.ocexecutives.com/listing/oc13045346-32-valmont-way-ladera-ranch-ca-92694/ where you can see more pictures and other detailed information on the home. Curious about what else is selling in Ladera Ranch? Visit our page for Ladera Ranch Real Estate and other communities in Orange County CA.